Just yesterday, we read about how the 16GB Wi-Fi only Apple iPad Mini costs a $188 to make but Apple sells it for $329 thereby making a cool profit of $141 per tablet. On the other side of the spectrum, Apple’s rival (not Google!) 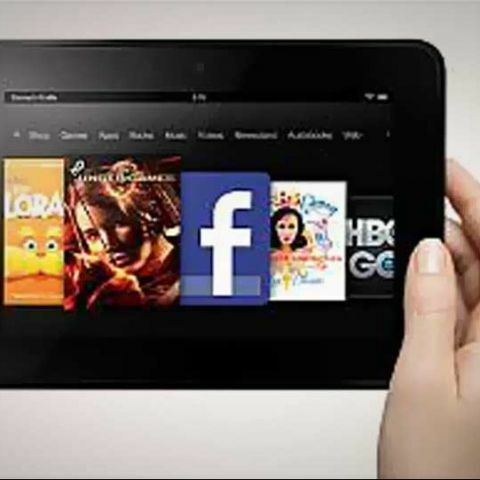 Amazon actually incurs a loss for every 16 GB Kindle Fire HD tablet sold. 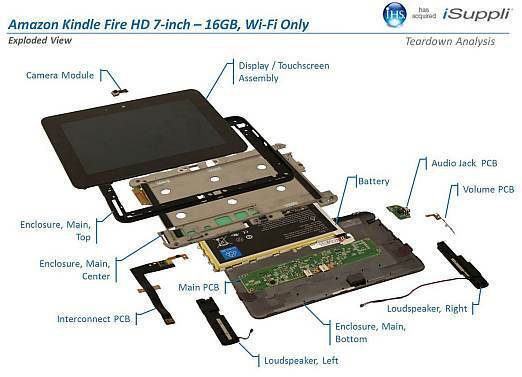 According to a teardown by research group IHS, the total hardware cost comes to $174 which includes the bill of materials cost ($165) as well as manufacturing cost ($9). When you add the cost for the stuff like software, licensing or royalties, the device cost climbs up to $207. This hardware manufacturing cost of $174 is considerably lesser than the $201 in bills of materials cost that was incurred on the original Kindle Fire. With the Kindle Fire HD, the 7-inch display (resolution: 1280x800) itself costs around $64, which according to IHS is $23 lesser than the 7-inch display on the original Kindle Fire (resolution: 1024x600). The 7.9-inch display on the iPad Mini on the other hand costs $80 (resolution: 1024x600). Memory subsytem including DRAM, 16 GB of NAND Flash costs around $23, which is $1 more than the 8 GB Kindle Fire. Read more about the breakdown here.